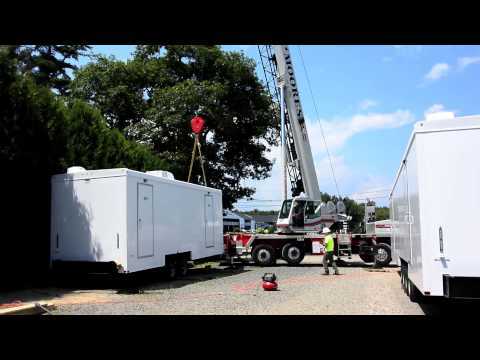 This single unit portable restrooms trailer is perfect for a long-term solution. Featuring a Sealand pedal flush toilet, waterless urinal (not pictured in floorplan), and in-vanity sink. With heat strips and A/C, your guests will be comfortable year round. The benefits of having portable restrooms will add that extra touch to your location. Download the 2019 Portable Restroom Trailers Brochure PDF.